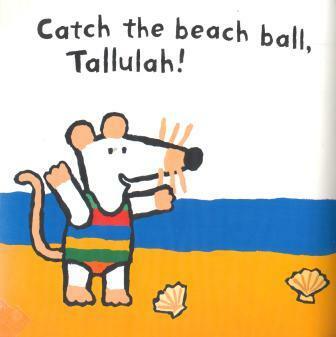 Maisy and company have a full day of fun in Maisy at the Beach, collecting shells, building a sandcastle, and feasting on tasty snacks. 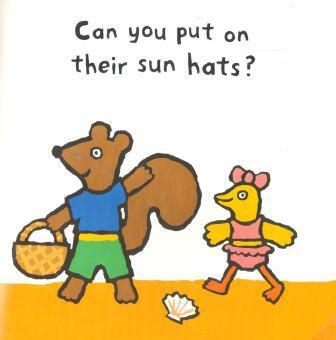 Young readers join in the fun as they complete the scenes with more than 25 full-color, reusable stickers. 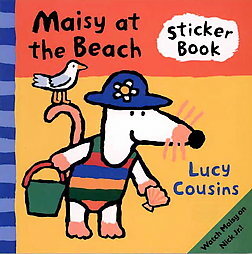 Maisy is always a hit with my 3-year old granddaughter, and having stickers to put on the story was fun! Lucy Cousins is one of today’s most acclaimed young author-illustrators of children’s books. "I draw by heart," she says. "I think of what children would like by going back to my own childlike instincts." And what instincts! More than six million copies of Maisy books have now been sold worldwide. Lucy Cousins lives in rural Hampshire, England, with her four children ― ample inspiration for Maisy‘s future adventures.